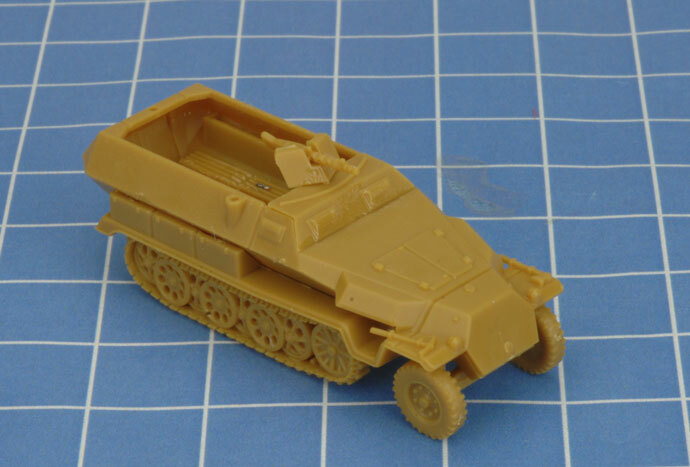 In this guide we will be assembling all variations of the Sd Kfz 251 Half-track. We will begin with the hull which is shared by all variations. Step 1. 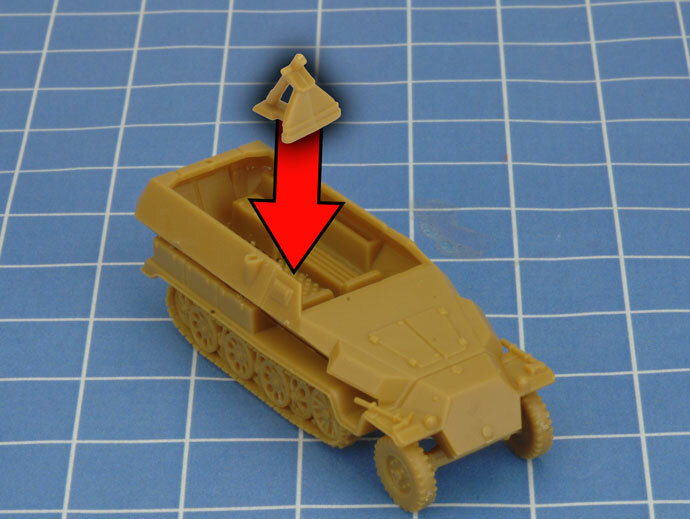 Begin assembly of the Sd Kfz by attaching the deck to the lower hull. Below. The deck in place on the hull. Step 2. 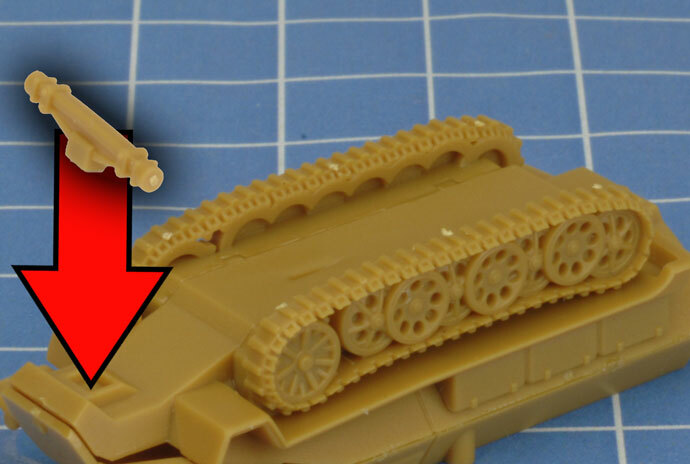 Now attach the left hand side tracks to the lower hull. Step 3. 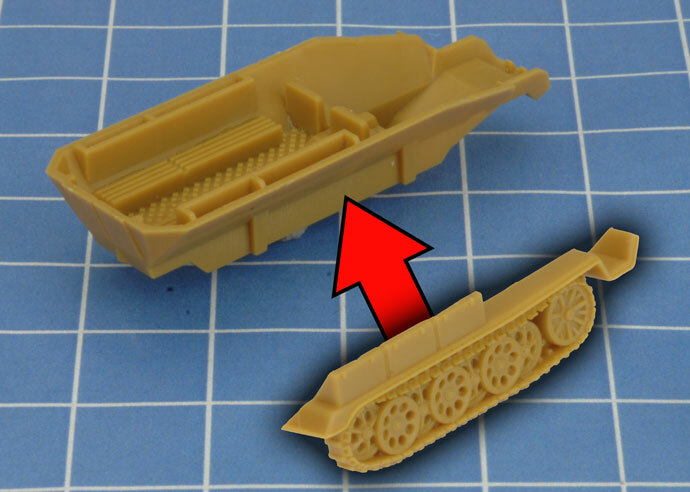 Next attach the right side tracks to the lower hull. Step 4. 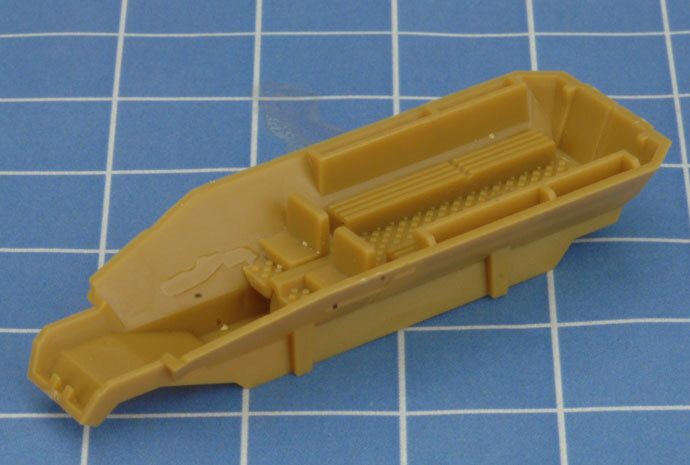 Glue the top hull onto the lower hull. Step 5. Now we will assemble the front wheels. 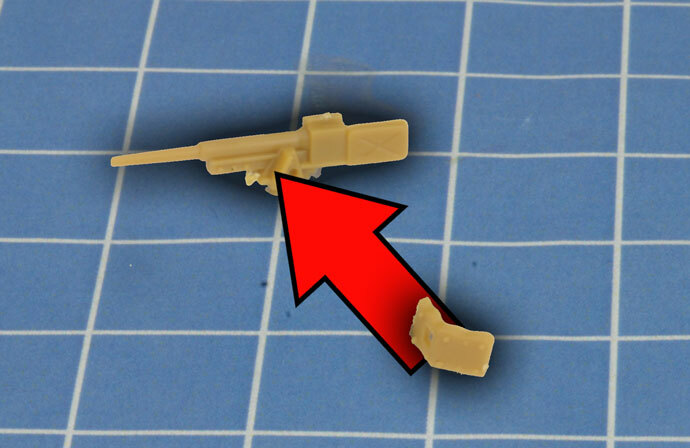 Start with the axle and attach it in the slot shown below. Step 6. 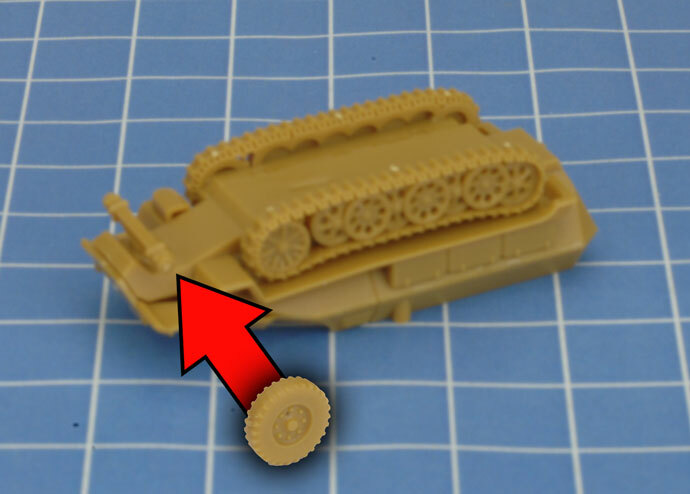 Next attach the front wheels on both sides of the axle. 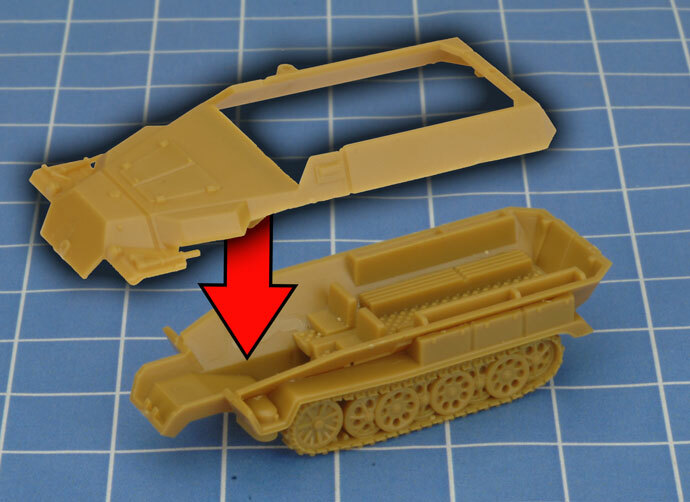 Below: The hull of the Sd Kfz 251 is now complete. Continue below and find the variation that you wish build. Step 1. 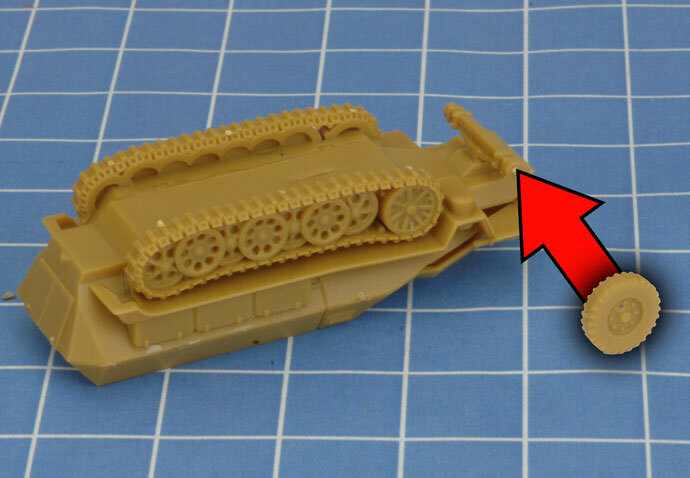 Attach the 7.5 cm Gun to the front plate. Step 2. 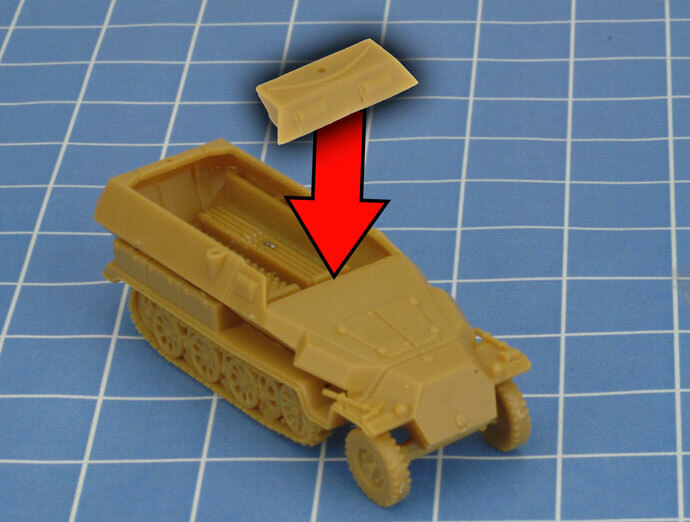 Place the ammo box in the place shown below (note this ammo box only appears on the 7.5cm gun and 8cm Mortar versions). Step 1. 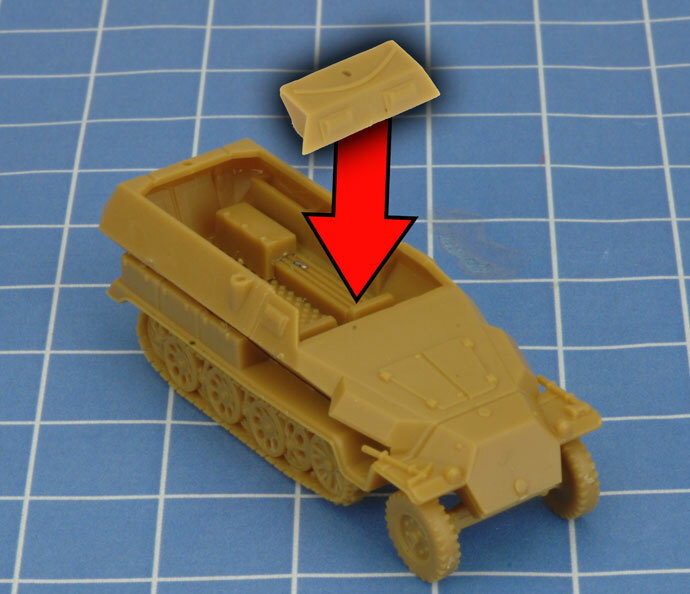 Place the ammo box in the place shown below (note this ammo box only appears on the 7.5cm gun and 8cm Mortar versions). Step 2. 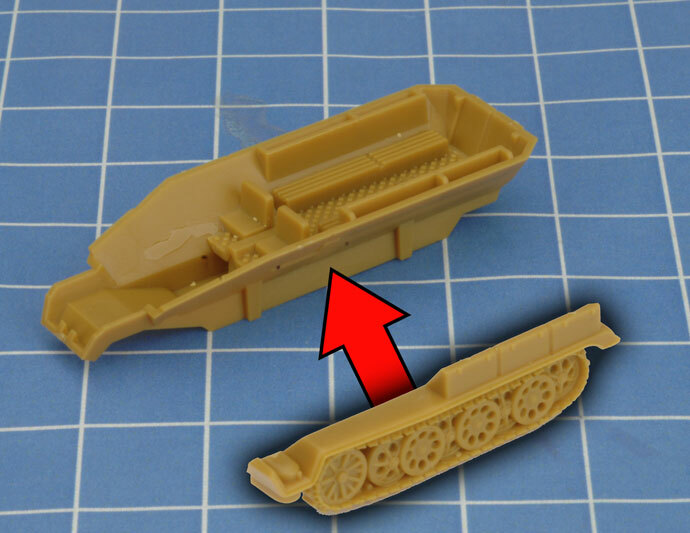 Place the 8cm Mortar in the center of the deck and the front plate on the upper hull. Please note that the Sd. 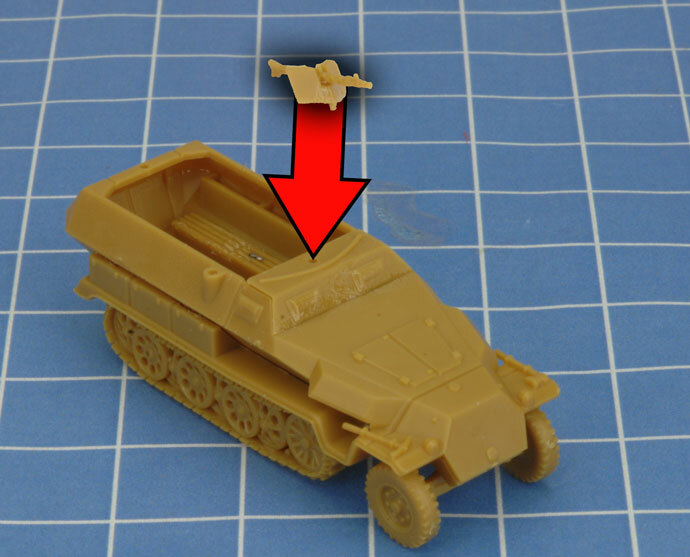 Kfz 251 (MG) and Sd. 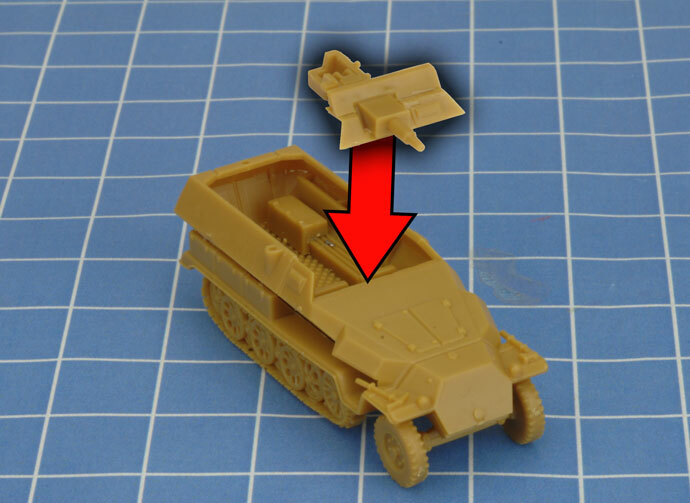 Kfz 251 (3.7cm) share the same base hull. 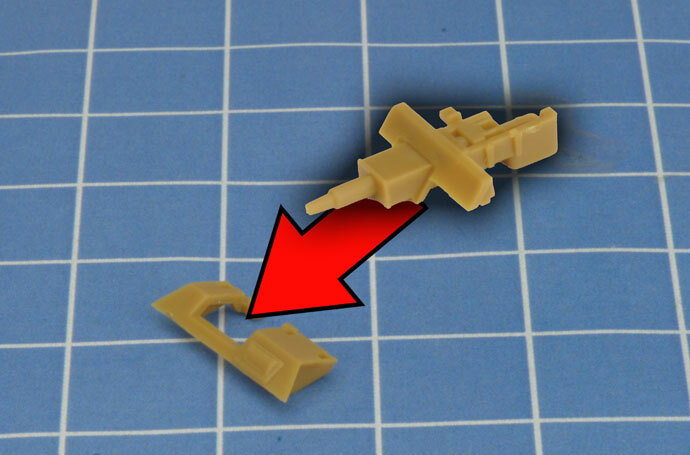 Follow the steps below to build a Sd. 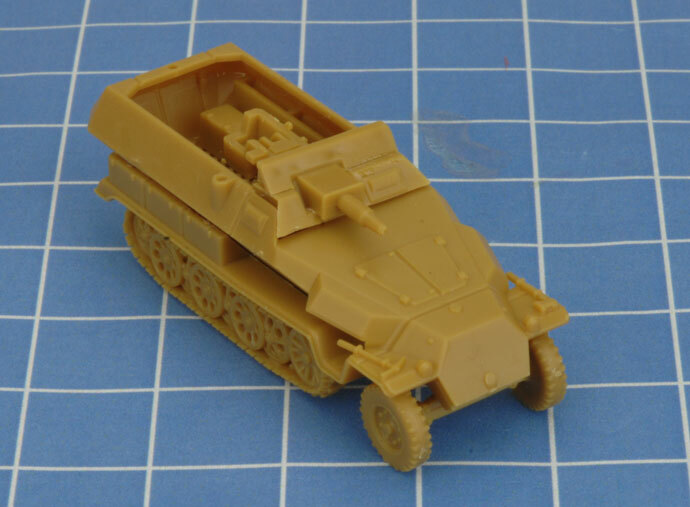 Kfz 251 (3.7cm). Step 1a. 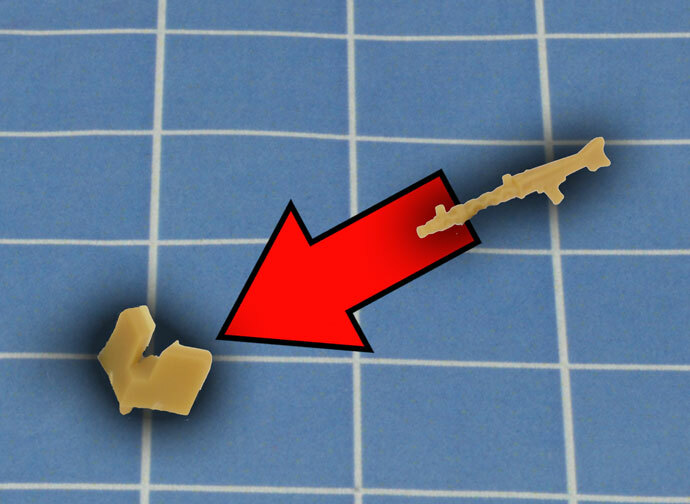 Attach the machine gun to the gun shield. 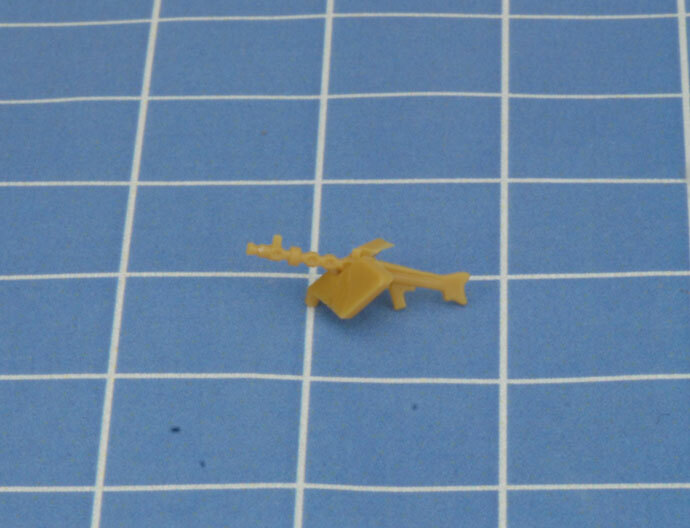 Below: The assembled machine gun. Step 1b. 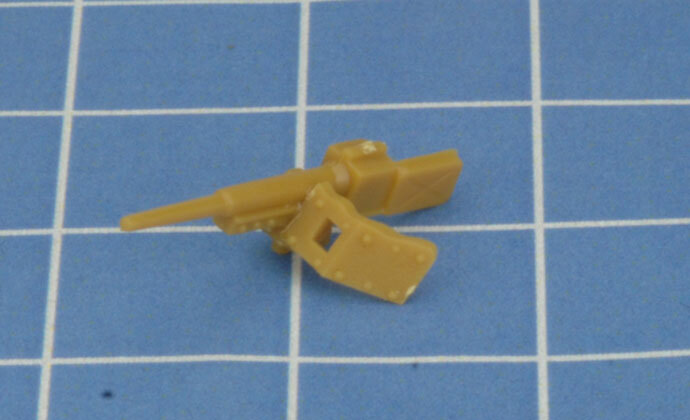 Attach the gun shield to the 3.7cm gun. 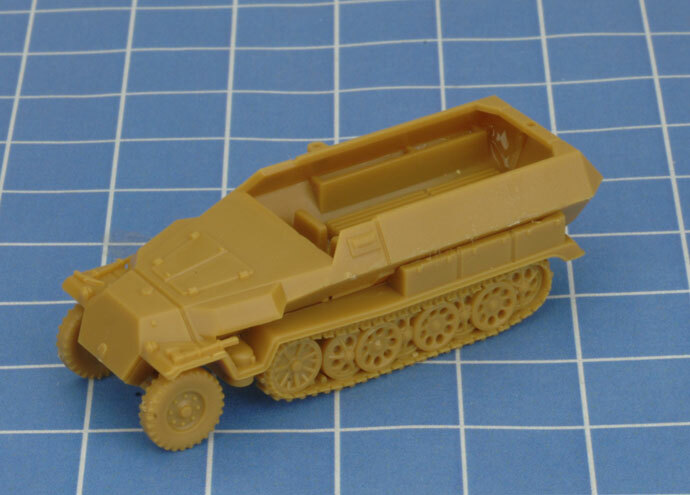 Below: The assembled 3.7cm gun. Step 2. 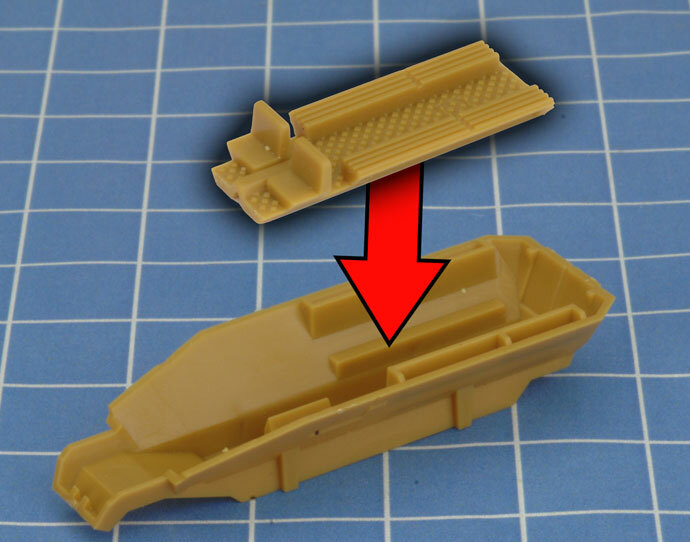 Attach the front hull plate to the upper hull. Step 3. 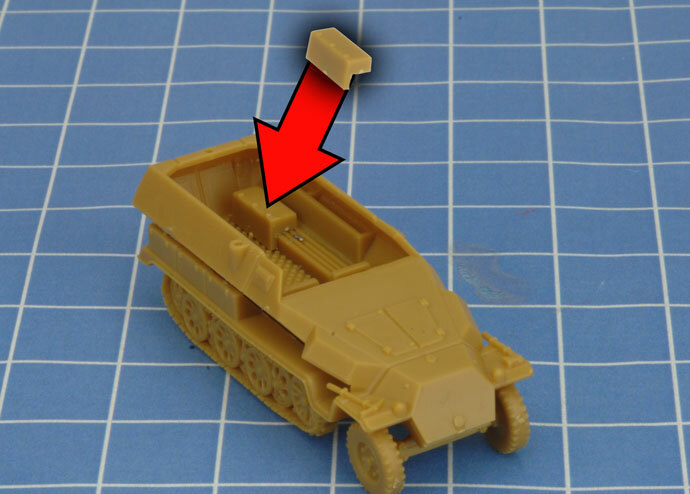 Now place either the 3.7cm gun or the machine gun into the slot in the front hull.